Shapoorji Pallonji Real Estate is a prominent force in the Indian real estate sector. The company is credited with structuring numerous brilliant architectural spaces on a pan India basis in various verticals like - IT Parks, Residential, Commercial, Retail, Redevelopment etc. Shapoorji Pallonji Real Estate is turnkey solution provider with professional teams like business development, operations, marketing and finance, legal and associated functional teams at its disposal. 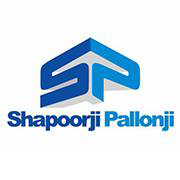 Commercial Space: Shapoorji Pallonji Real Estate has vast experience in the corporate realty segment and SP Infocity, a chain of IT Parks and IT/ITES SEZs at multiple locations across the country, stands testimony to this capability. The SP Infocity IT Parks are world-class spaces featuring unmatched facilities and amenities. SP Infocity's facilities have been planned at nearly all the major IT cities in India like - Pune, Nagpur, Gurgaon, Manesar, Chennai and Mohali. The developments at Pune, Gurgaon and Chennai are already operational and house the offices of leading global IT/ITES companies. SP Real Estate has also built office complexes for Dell at Mohali and Hyderabad on built-to-suit basis. Residential Space: Shapoorji Pallonji has sealed its supremacy by constructing some of the most premium properties in South Mumbai. Projects such as 'The Imperial', featuring super premium luxury residences in Mumbai, have won ten Asia Pacific Property Awards. SP Shukhobrishti, a mass housing township in Kolkata spread over 150 acres, and SP Residency, a high quality residential development within IT Park, Pune, illustrate the wide canvas Shapoorji Pallonji Real Estate is working on. Progress at Shapoorji Pallonji Real Estate is on the right track and with multiple projects in the pipeline, significant growth is estimated.